Being fashionable while wearing a t-shirt is something that just became even better. 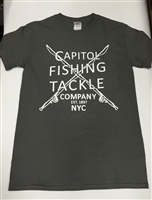 These ultra-soft, durable t-shirts are not only comfortable, but represent Capitol Fishing Tackle, a brand we've worked hard maintaining for over 118 years. Being fashionable while wearing a t-shirt is something that just became even better. 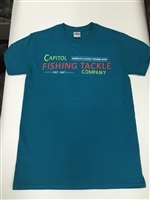 These ultra-soft, durable t-shirts are not only comfortable, but these shirts represent our iconic neon sign. Our one-off neon sign has hung above our store proudly since 1941 and has been featured in many publications like The New Yorker Magazine and The New York Times. It can be seen from blocks away lighting up 36th street. 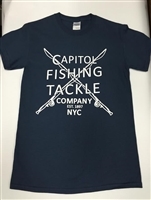 Here’s your chance to represent America’s Oldest Fishing Store! The Kenai Original is a versatile glove designed to keep you outdoors while still giving dexterity where you need it. Crafted to withstand any adventure, these gloves are perfect for the outdoorsman.